I had never heard of an oatmeal cake until about a month ago. Since then it seems to be everywhere I look. 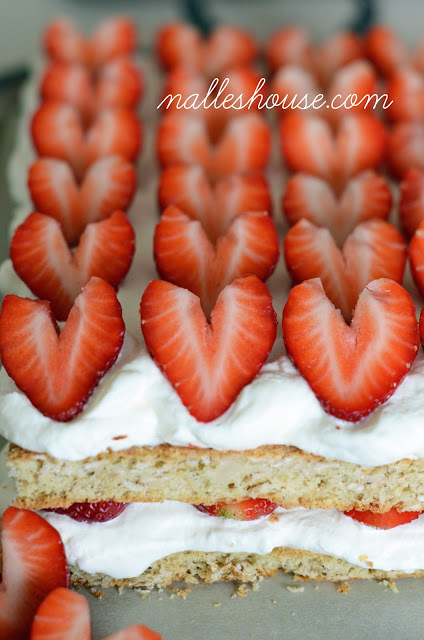 This beautiful strawberry and cream Scandinavian oatmeal cake might be the perfect reason to finally give it a try. It makes one great Valentine's Day dessert. You can get this Scandinavian oatmeal cake recipe over at Nalle's House.